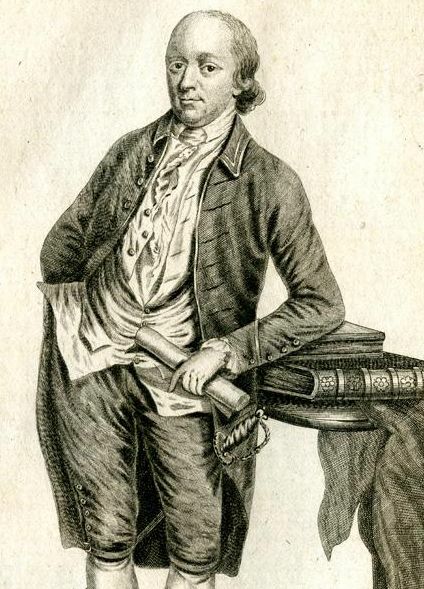 Edward Newenham was a member of Parliament from Dublin, reformer, and strong supporter of American independence who corresponded with Washington, Franklin, and Lafayette. He built what is probably the first monument to Washington, but the cost of maintaining Belcamp Hall and his 18 children landed Newenham in debtors' prison. At the end of January 2018 I embarked on a ten-day visit to Ireland on behalf of the White House Historical Association, of which I am chief historian. We are developing programs to celebrate Irish architect James Hoban (1755-1831), who designed the White House under George Washington’s oversight in the 1790s and later played a vital role in the building’s reconstruction after the British burned it in 1814. Hoban’s professional roots lay in Palladian styles specific to late eighteenth-century Ireland, most notably in Kildare House—now Leinster House in Dublin, home to the Irish Parliament. 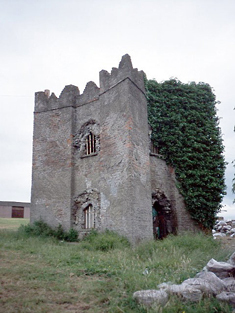 One of the most intriguing sites possibly related to Hoban, however, is Belcamp Hall, an eighteenth-century estate on the northern outskirts of Dublin. It is haunted by the ghost of none other than George Washington, whose papers I edited for twenty years and about whom I have written several books. The Washington Monument is now covered in ivy and in need of restoration. Photo courtesy of the Irish National Inventory of Architectural Heritage. The two corresponded frequently (as did Newenham and Benjamin Franklin) from the time of the Revolutionary War to the mid-1790s—many of their letters have been lost and wait to be rediscovered. Although the two long-distance friends never met in person, Newenham’s son-in-law John Wallace spent a few nights at Mount Vernon in the spring of 1786. What is arguably the first monument ever built to George Washington is in serious risk of permanent ruin, yet Americans have shown little interest in saving it. Newenham described his estate to Washington and Franklin with evident pride, and in return they showered him with praise—Washington particularly admired Newenham’s experiments in scientific gardening. Like some others in Ireland, Belcamp Hall was modeled on Mount Vernon—at least in spirit—as the ideal country home. Sadly, though, Newenham—who proudly displayed busts of Washington and Lafayette next to one of Virgil—had to sell the estate in 1793 to pay debts. One of the most fascinating features of the estate is a massive monument to George Washington that Newenham constructed in 1778—thus predating the current building. It is, so far as I know, the earliest monument ever erected to Washington and the only one built during his lifetime. Whether Washington knew about it is unclear, but if he did he may well have admired its wholly military (if not terribly republican) character. The tower is a red brick construction about twenty feet square and thirty feet high, roughly in the form of a classic star fort with Gothic windows decorated with crenellation. It originally bore an inscription reading “Oh, ill-fated Britain! The folly of Lexington and Concord will rend asunder and forever disjoin America from thy empire.” That inscription now appears to be lost; now, a marker indicates that the tower was built in dedication to Washington in 1778 and restored in 1984. Belcamp Hall was purchased in the 1880s by the Oblate Brothers and converted into a college in 1893. They added residential wings as well as a Gothic revival style chapel and appear to have done a good job maintaining the property despite a fire in 1921. Photographs of the property taken in the 1990s that I viewed at the Irish Architectural Archive in Dublin show a largely intact home with beautiful features and a Washington Tower situated on a pristine lawn. Since the closure of Belcamp College in 2004, however, the estate has fallen largely into ruins. Belcamp Hall was most recently used as a school, but since it suffered a fire in 2004 the estate has largely fallen into ruin. I visited the estate on a cold, blustery day at the end of January, accompanied by architectural historian Brian O’Connell of O’Connell Mahon Architects in Dublin, and conducted by two very kind gentlemen from Gannon Homes Ltd. which now owns the property. The approach was through a construction site and across a sea of mud navigable only by four-wheelers. The first sight to catch our eye was the hall itself, surrounded by insurmountable steel railings and fronted by a vast pile of rubble. Open windows gaped from the central Hall building—largely intact on the exterior but with obvious signs of fire destruction inside. The nineteenth-century residential dormitories are mostly wrecked and the chapel evidently a gutted shell. The cause: multiple arson attacks on the property, as recently as 2016. The haunting Washington Tower is pitted and decayed, surrounded by garbage and mud. The Washington Tower looks about half a millennium older than its 240 years. It is pitted and decayed, with iron bars blocking its windows and ugly concrete blocks barring entrance through its central door. It is surrounded by garbage and mud. Still, it is substantially intact and possible to restore. Even Belcamp Hall, though badly damaged, retains many of its original furnishings. The walled garden still exists though it now plays host to a number of bedraggled ponies; the outbuildings are visible too. 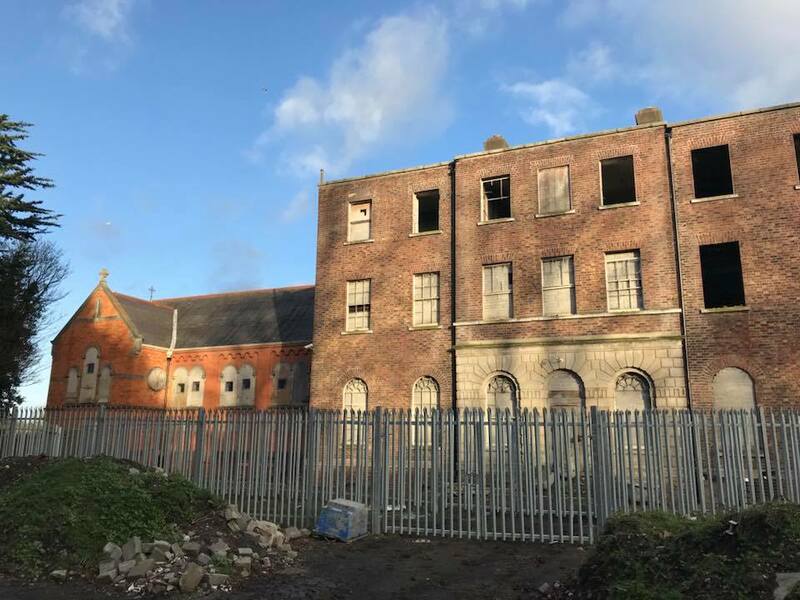 Irish historians have been concerned about the property for years but lack the resources for a full restoration—which would now in any case seem to be impossible. Gannon Homes, which deplores and has tried to prevent the damage (let’s face it, protection from vandals at what until recently has been a remote spot is difficult at best), is now planning to convert the property into apartments, while hopefully retaining as many of the original furnishings as possible and perhaps restoring the Washington Tower. 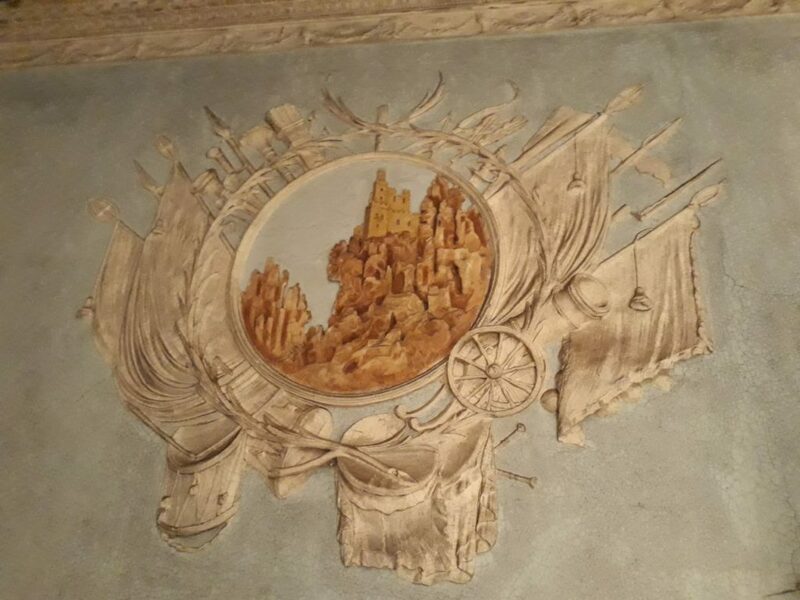 Belcamp Hall is beautifully decorated inside with plasterwork, reliefs and murals typical of the time. So far as I know, however—and I would welcome correction—Americans have demonstrated no interest in this site or in the Washington Tower, although there are some places and institutions I can think of that could easily muster the resources to ensure its preservation. Here’s hoping that something can be done to make certain that this amazing if haunting site can be preserved for future generations as a testament to Irish-American friendship. For more information on the history of this site, see “Designs for Belcamp House and Mount Vernon” by Professor Finola O’Kane in the 2017 Irish Georgian Society Review.